Every tourist has hobbies, personal habits for themselves when choosing a travel destination. But certainly one thing that will not be a discerning traveler despite neglecting Thailand - the country of the smile and the amazing things. 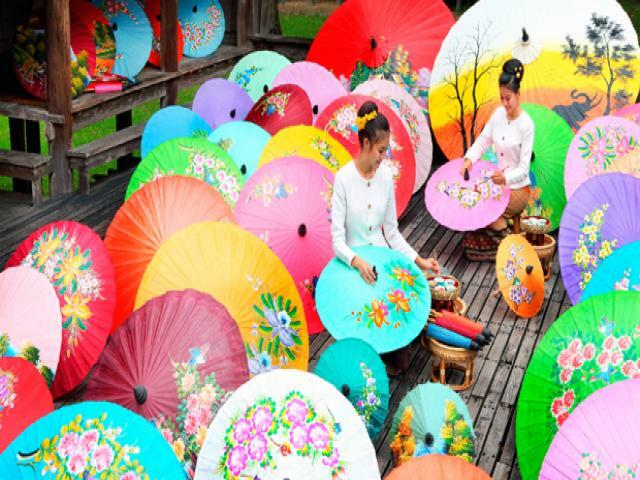 Whether your need is what, Thailand can meet and make you completely satisfied. Let explore the most attractive features of Thailand. 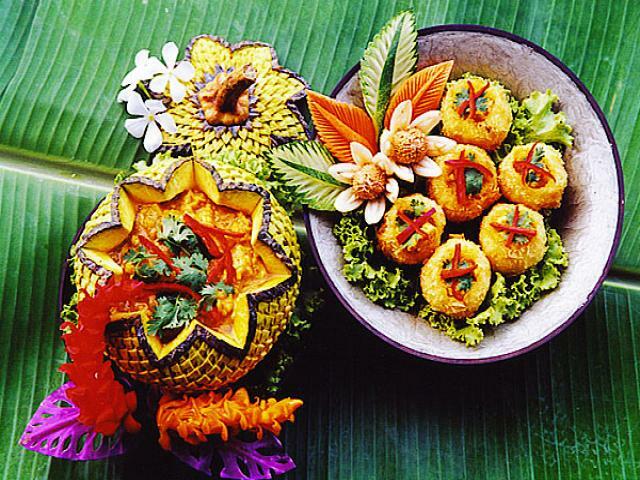 Thai cuisine is a subtle blend of herbs, spices and fresh foods with special cuisines. The local dishes are curry flavors or snacks on the street and the night market, the fruit smoothie, sweet tea ... satisfy all customers with refined taste most. From postcards with snapshots still extremely primitive to the most grandiose party on the planet, the beaches and islands in Thailand is the most attractive features of the country. White sand beaches with emerald sea, palm trees swayed in the wind and even the limestone ... you're ready for your Thailand vacation yet? 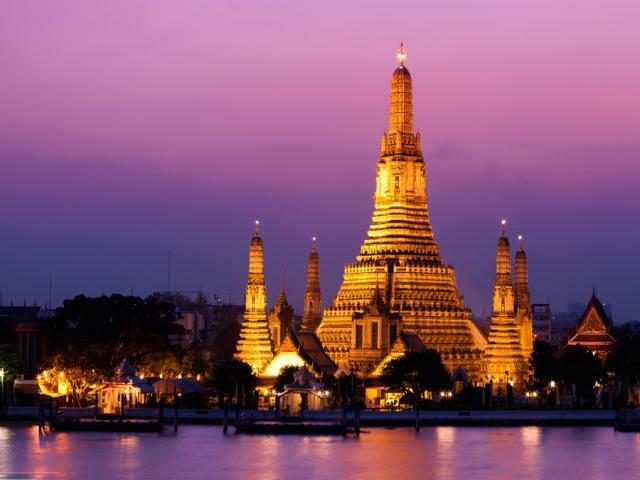 Thailand known for luxury, but also for the popularity. Everyone has their place. If not a luxury spa then just a bamboo hut on the beach is satisfied. A beach of Thailand will be full of different services, Thai massage is always ready with an incredible price. And rest assured, your coins are very worthy for this service. 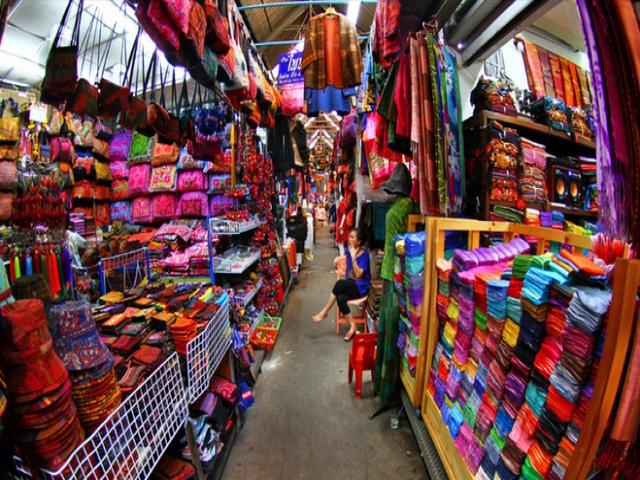 Here you can buy yourself a woven material in the fair or a silk in Bangkok. Wallets or sunglasses brand "Frauda" are everywhere and in some markets (eg Chatuchak in Bangkok) sure you will find the things you want: fresh fish, umbrella, Flower, pillow, phone ... things only limit to you are time and money. A country known for the friendliness - the country of smiles, of the positive and optimistic things. Philosophy "Sanuk" - philosophy of happiness is an important part of Thai life. That is why you can find a smile even in the most hard-working people in this country. Anxious for a trip in the first place? Feeling insecure? Please dismiss all when visiting Thailand. You can book a bus, plane, train easily from any travel agencies or hotels . For the elite, the buses are always full of luxury travelers looking for comfort during their journey of discovery. 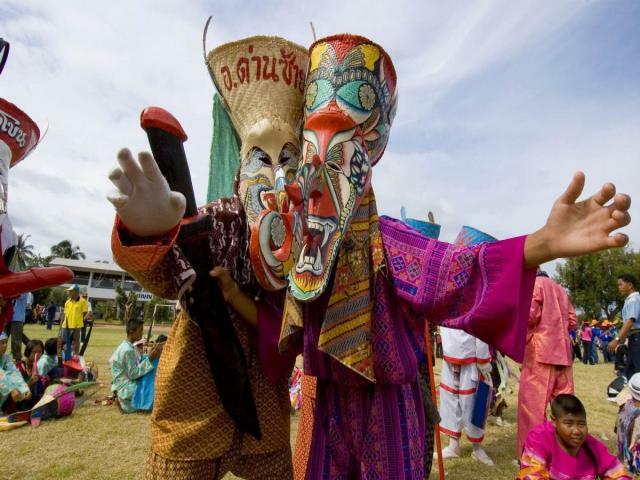 For those who prefer to venture, take the bumpy looking rides to experience Thai culture. 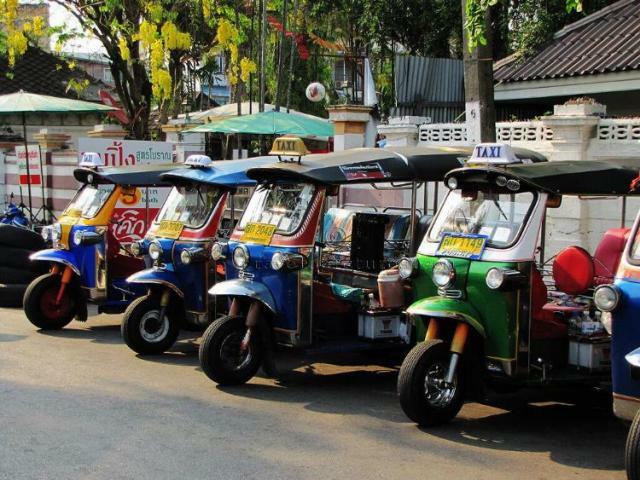 These short trips there will be all kinds of motorcycle taxi, tuk tuks, taxis and public buses. Trains are clean and comfortable, the diverse domestic flights serve you anywhere. 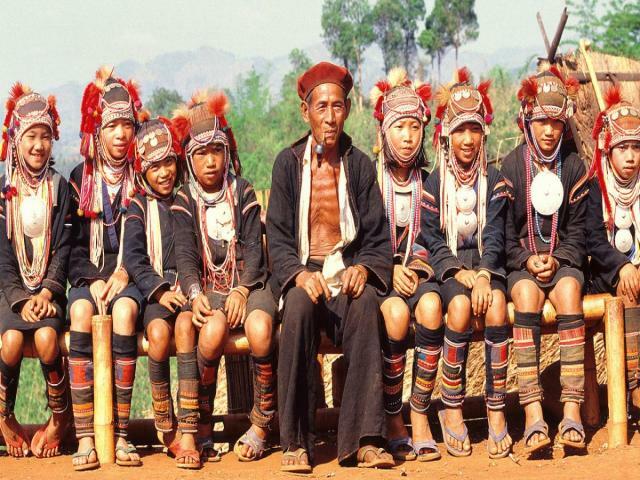 This country also serves as a hub for you to travel within Asia. Bordering Laos, Cambodia, Myanmar, Malaysia, you can easily go anywhere and return to Thailand. Bangkok is the center, the hotels will hold your backpack just for $US1 a day. 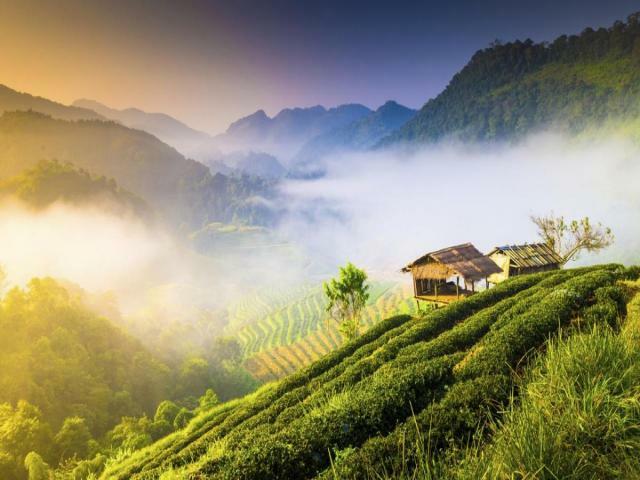 Trains connect to Kuala Lumpur and Vientiane, the flight allows you to China, India and Nepal at a very cheap price. After the riots in 2010, tourism seriously affected. Because of that the Thailand was trying to restore its industry by reducing the cost and improving service to attract more tourists. Thailand country is really safe, the riots did not affect tourists in Thailand. 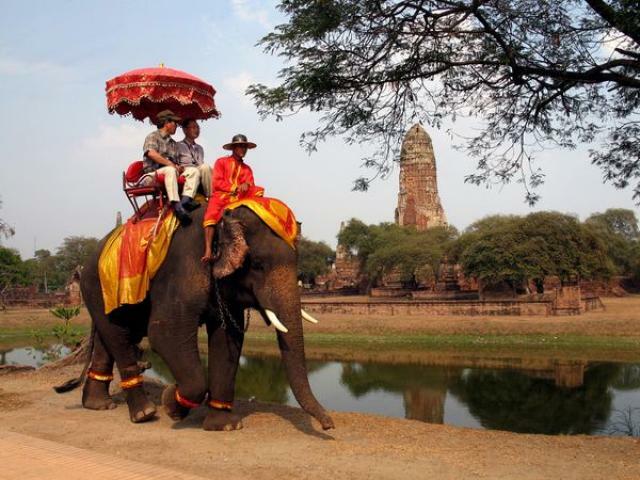 One phase is not good for Thailand's tourism industry but is a good news for tourists, right? Ride an elephant? Kayaking in the islands? Explore the forest? Navigate to the mountainous hill tribes? All has in Thailand. The water is clear as glass sea, with lots of beautiful coastlines, Thailand attracts a lot of divers to come to explore the ocean. 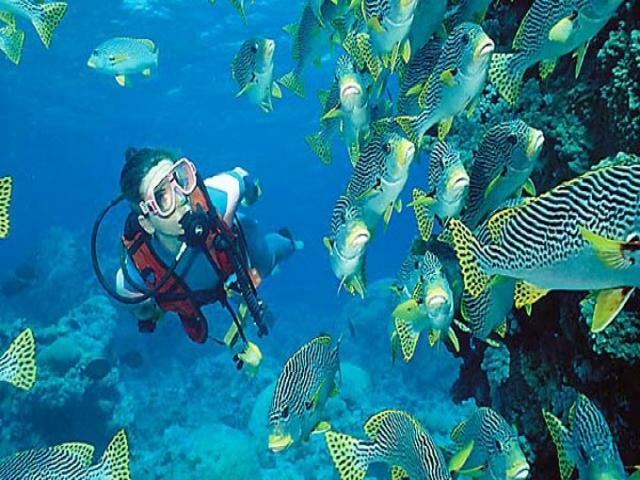 It is also very appropriate place to learn to dive with these courses having reasonable prices everywhere.